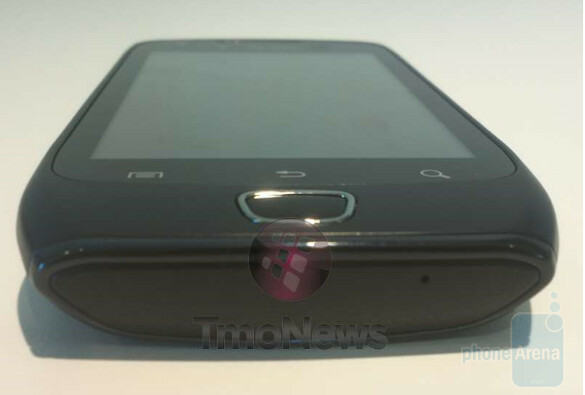 T-Mobile appears likely to offer the SGH-T759, better known as the Samsung Exhibit 4G. A source for Tmo News says to expect the phone to come to market with 2.3.3 installed and a 1.4GHz ARM 11 processor under the hood. The handset does features a front-facing camera and speculation is that it is a VGA shooter while the camera on back will be 5MP and capture video at 720p. More speculation on the specs revolves around the AMOLED display which is rumored to weigh in at 3.7 inches with resolution of 480 x 800 pixels. Of course, the phone wouldn't be the Samsung Exhibit 4G without 4G connectivity which is accomplished through T-Mobile's HSPA+ network. So far, there is no word on a launch date or price for the phone. If the specs come in as rumored,the Samsung Exhibit 4G might become a popular choice for those T-Mobile customers who want 4G connectivity but who would rather pay less for more mid-range specs. its not a pointless release.. it will be launched below the dual core phones. there is another market besides "ultra high end". anyone else see the irony that a 1.4ghz phone is now "mid range".. lol. do you know of ANY other 1.4 ghz phones that arent overclocked??? lol. granted it puts it around a droidX in performance but still. I cant wait until dual core phones are "mid to low end".. lol. what the heck will we be using? star wars style holograms? rock on! lol.